Check out this cool iPhone App, called Big Keyboard email which lets you type your emails in landscape mode. 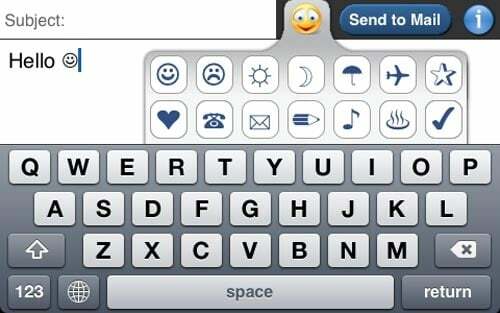 Big Keyboard Email has been a popular app on the iPhone app store for a while now, it has just received an update which lets you send Emoticons in your emails. 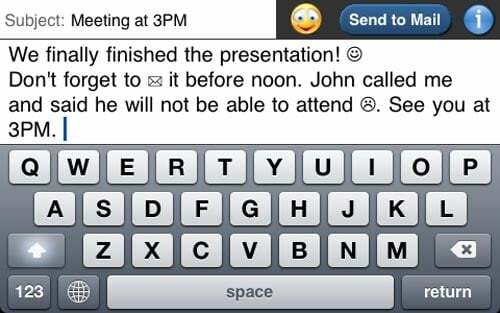 The updated version now supports 14 graphical emoticons, so now you will be able to add lots of smileys to the emails you send from your iPhone. The Big Keyboard Email is available from the iPhone App Store for $0.99, here’s the download link.